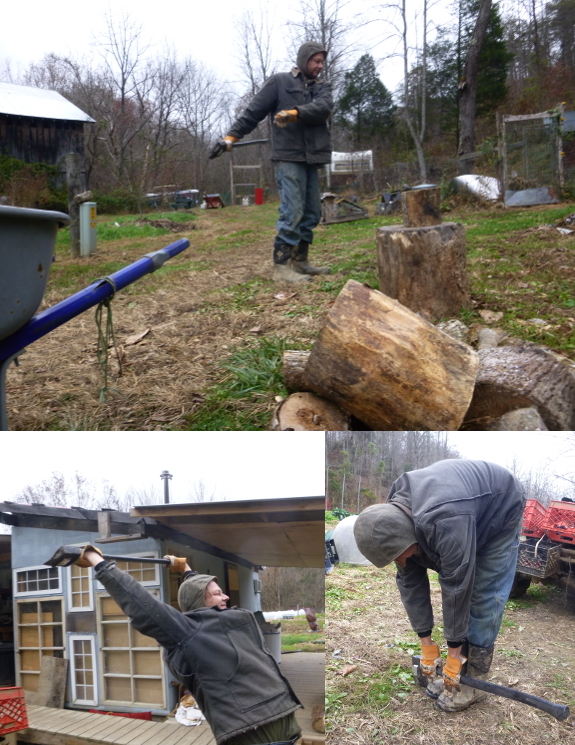 Don't forget to warm up before you start a vigorous task like wood splitting. Putting the Chopper 1 inside for a couple of hours before hand seems to help too. Warm fingers make for easy splits.